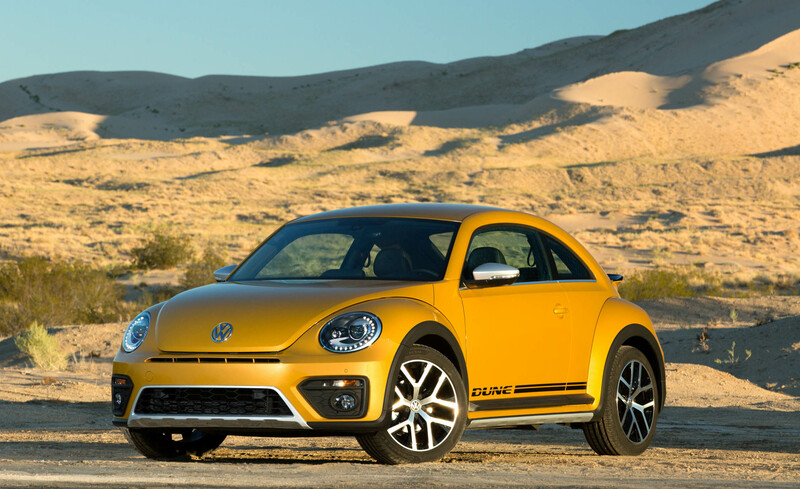 The 2016 Volkswagen Beetle Dune Bug has been announced to release on the early 2016 and available to sale in the first quarter of 2016. 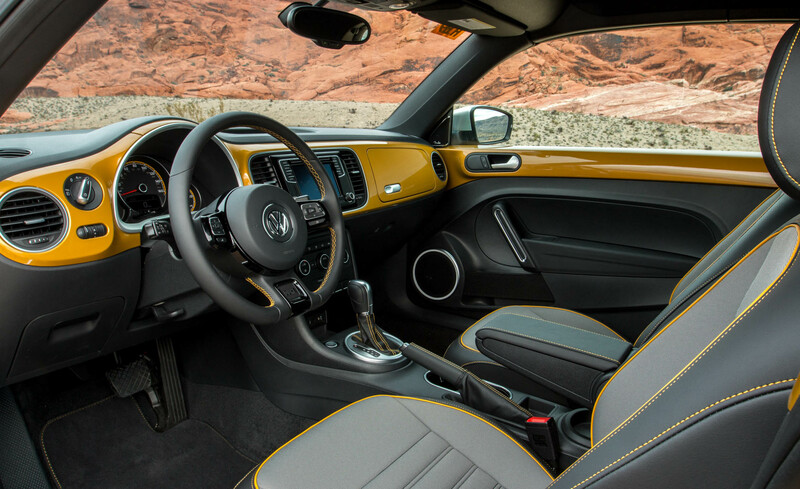 Now, let’s reveal little more about this classic mini vehicle. 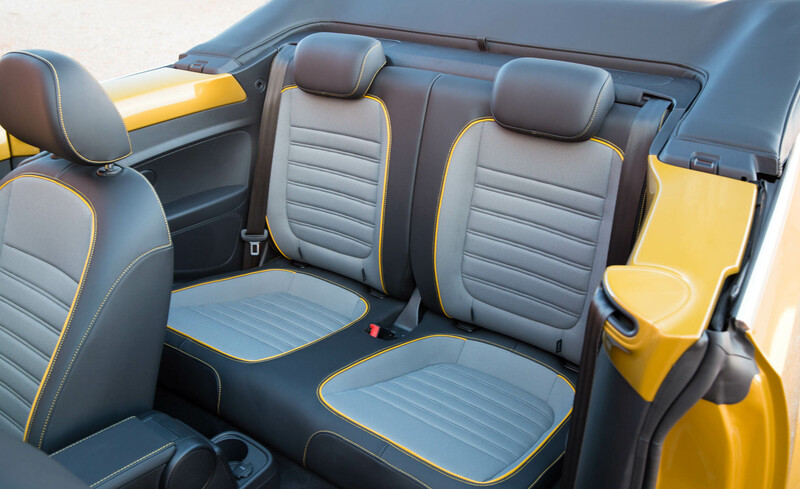 As expected, this unique car has brought several new exterior updates and upgrades. 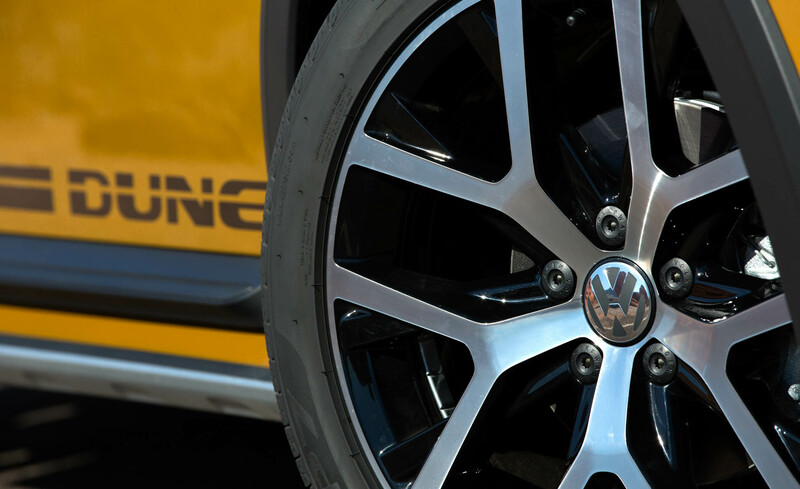 The front and rear fascias have been modified to be lower than the last model concept. 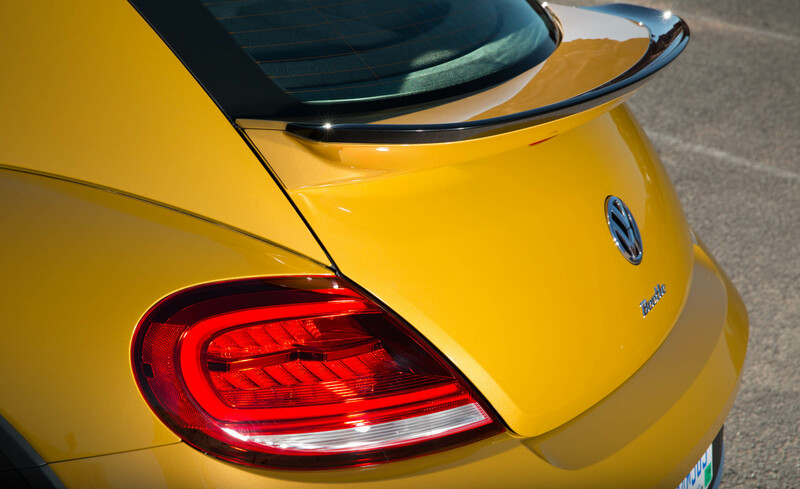 Fog lights, LED taillights and rear spoiler have appeared to be different than the last one. 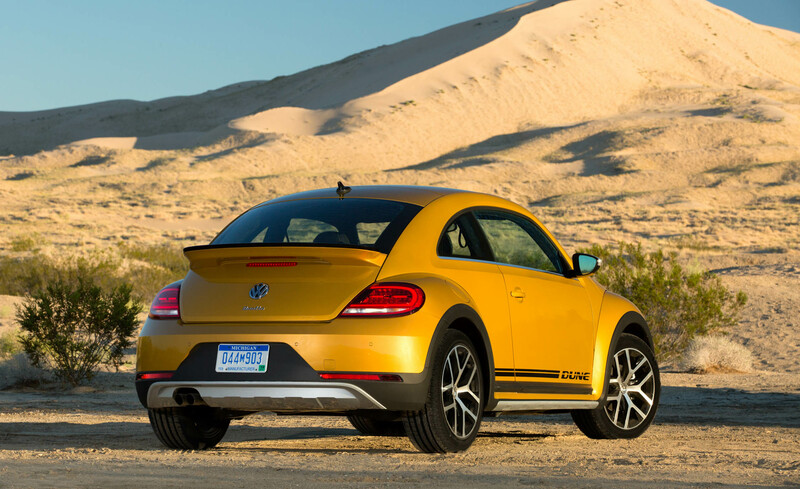 Moreover, this Beetle Dune is also painted in such eye-catching color such as Sandstorm Yellow, Deep Black Pearl and Pure White. 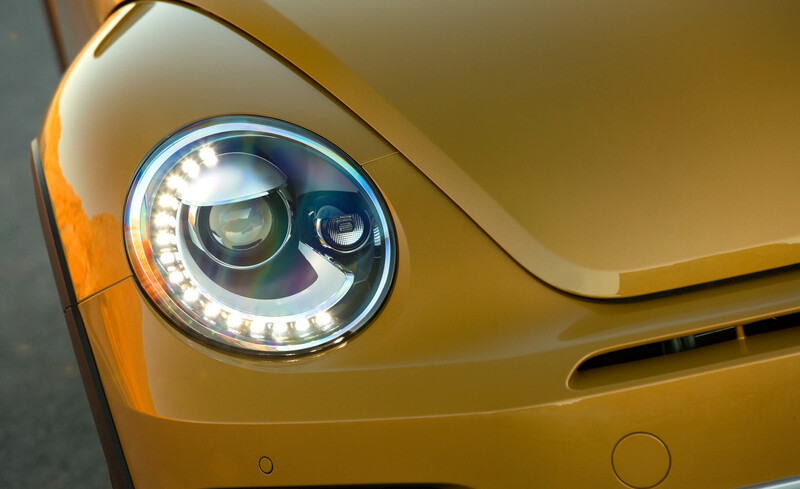 Then, this new Beetle Dune is known to be 50mm higher and 29mm wider than the standard Beetle version. Mostly, Beetle Dune revision is all about visuals and additional equipment. Then the engine is probably retained the same, similar with the standard one. 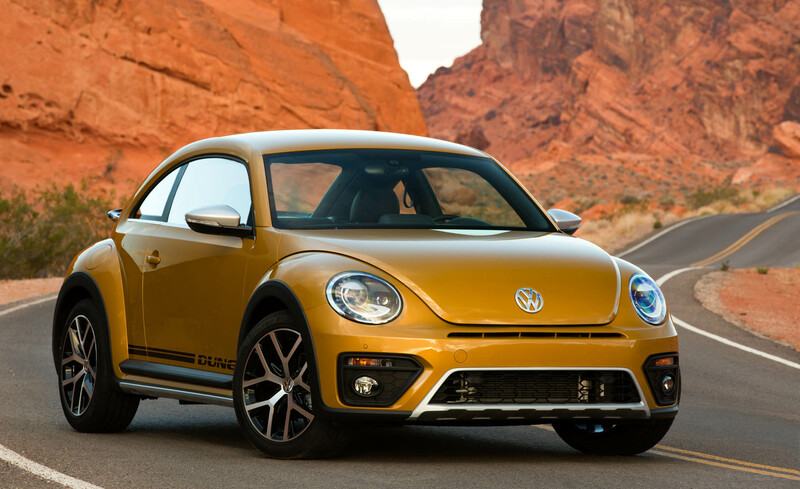 It seems to be powered by a 1.8-liter turbocharged engine that is able to produce more than 170 HP and 184 lb.ft of power torque. 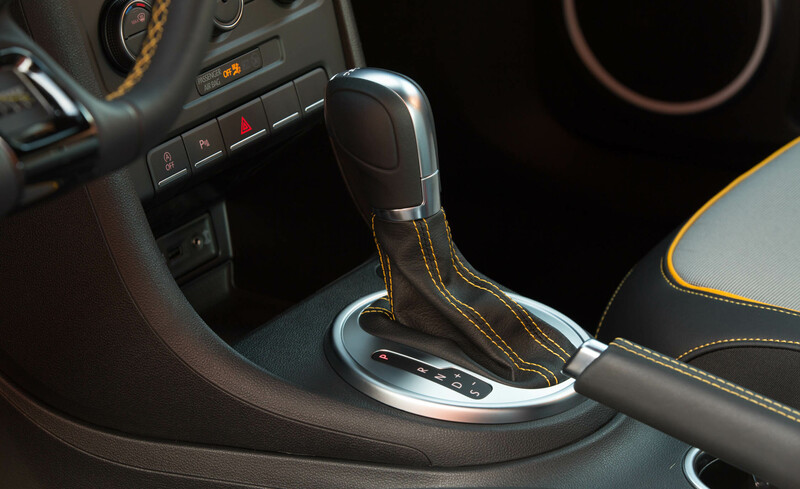 Moreover, it will be a front-wheel drive car with 6-speed automatic transmission. 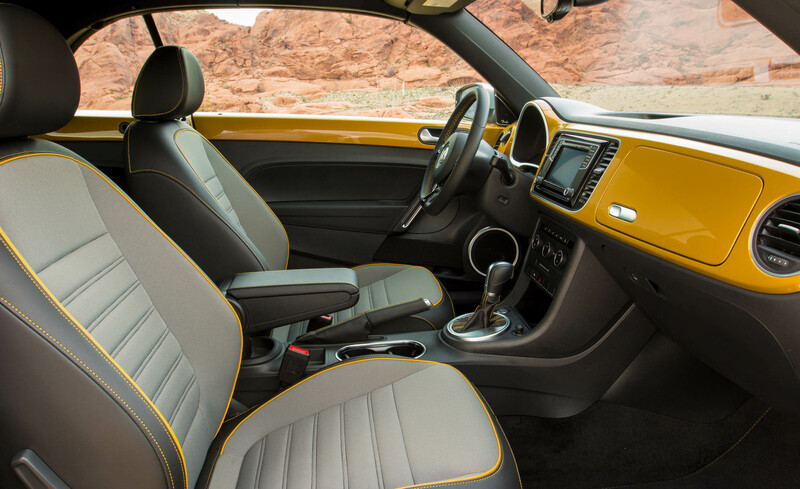 Inside, you will get such luxurious features and simple finished but elegant. 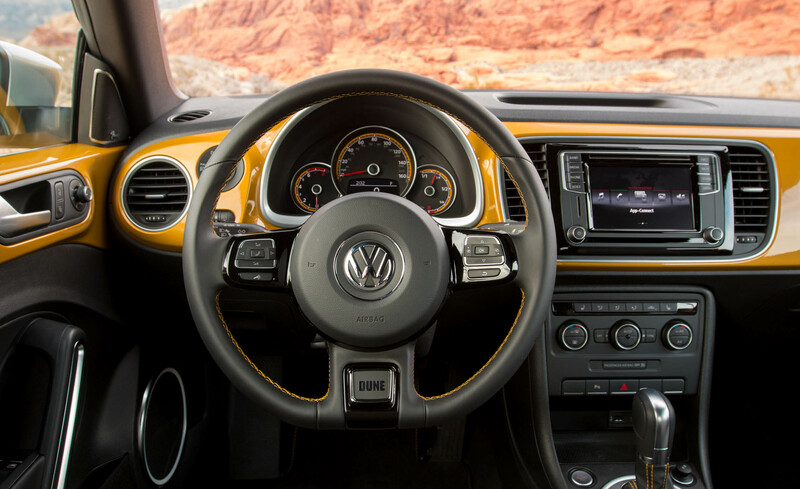 The interior features 6.3” color touch-screen display which has buttons and controls right below. 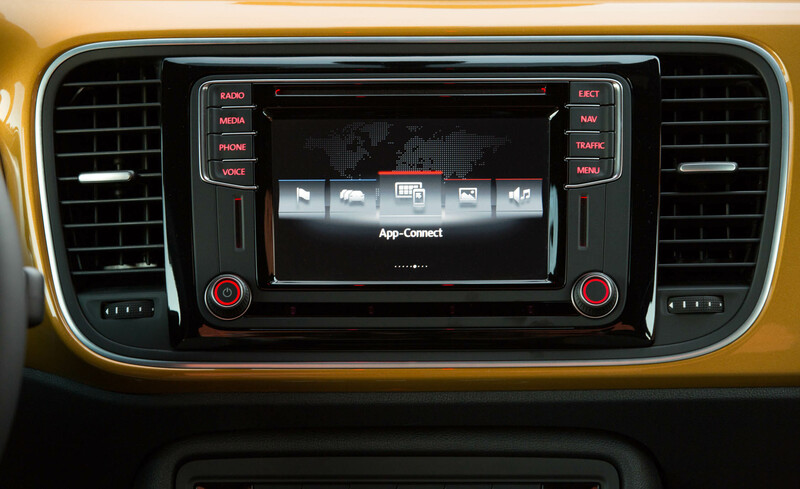 Moreover, infotainment system is also available. It supports Android Auto, MirrorLink smartphone integration and Apple CarPlay. Another interesting point on this interior is the three additional analog dials which is absence in the standard version. How about the color? 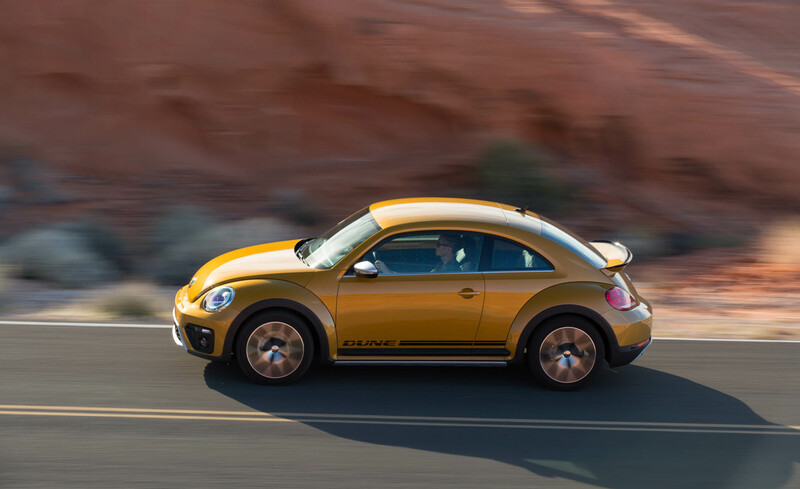 2016 Volkswagen Beetle Dune features black sport seats which are combined with orange on the door panels and dashboard.